My youngest son is doing another semester (or year?) of 2nd grade this year. 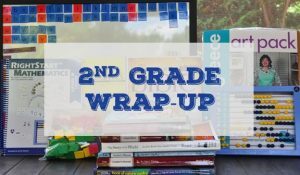 Since he already has finished some of his second grade curriculum and really needs to focus on his math skills and working independently, we had a lot of flexibility in our planning this year. 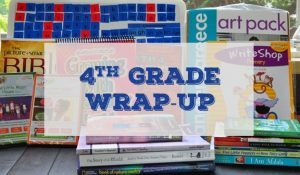 Each year, I make a grid with all of the subjects we plan on covering for the school year and then fill in what curriculum I think I want to use. 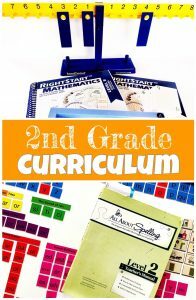 I explain more about this in A Simple Way to Plan Your Homeschool Curriculum. Here is what we decided to use this year. Math has been Little Fish’s nemesis! 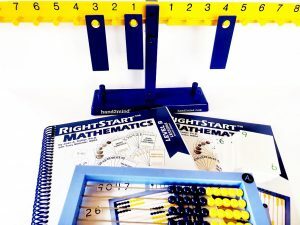 We had tried a few different approaches before a lot of research led me to RightStart Math last year. It made such a difference! For the first time, my guy gained a year’s worth of skills in a year instead of falling further behind. We loved the way it taught number sense and mental math skills. We have finally seen his number sense develop! 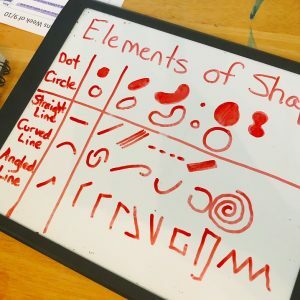 We have also enjoyed how it lets him explore math concepts through hands on activities and make his own discoveries about how numbers relate to each other. This year we are moving to the next level, which technically is probably more aligned with first grade. If you are interested in this curriculum and want to see where you should start, their placement test is very helpful. Our family is in our fifth year of using this curriculum. Little Fish started Level 1 in 1st grade and it worked great for him. We started Level 2 last year, but he got stuck on when to use silent -e. They were popping up on all sorts of words and sometimes missing where they should be! So we really spent the summer and first few weeks of this school year reviewing that concept. He appears to have it down now (at least 90% of the time) so we are starting to move through the lessons again. This curriculum is great because it targets the phonics of spelling (his strength), the visual memory of words, and the rules of spelling. This way it taps into his strength, but also builds up his weak areas. Little Fish completed All About Reading Level 3 the first week of school, which is the last level in this curriculum. He was so excited! This gives us the flexibility to read what we would like this year! So, like his brother, we are focusing on books related to our history curriculum. 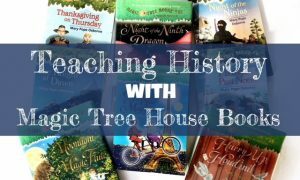 We will be working through the Magic Tree House books and then adding in a few other books as we go along. We did a structured grammar curriculum for 1st grade, but I decided to do something different this year. I have made the boys grammar notebooking sheets. Little Fish has started with the easiest level, where he copies a sentence from a book he is reading and then studies what makes it a complete sentence by circling the beginning capital letter and the ending punctuation. Next, he will move to identifying nouns and verbs. 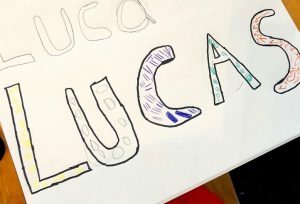 This sheet also has a place where he can write a word he did not understand in the text and then make a guess to what the word means. He then confirms the guess with a dictionary. This gets him in a good habit to look up words as he reads! These grammar pages are going to be subscriber FREEBIES throughout the year and then be placed in our store. 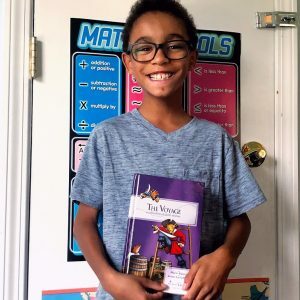 If you are interested in learning more strategies for teaching vocabulary, check out Five Tips for Teaching Vocabulary in Children’s Literature. We completed a structured writing program last year. 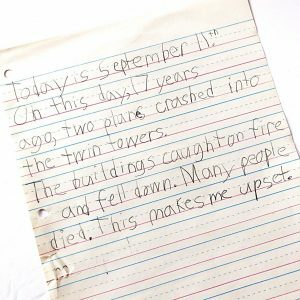 But since Little Fish really needs to focus on his spelling and his use of capitalization and punctuation, I decided to practice our writing without a structured program this year. Once a week, we pick a topic and then he verbally tells me three facts about the topic. Then we come up with a good introductory sentence and a conclusion to create a basic five sentence paragraph. He does well with this and needs little organizational help. Later in the week, he then copies these sentences into a paragraph. This is the more challenging area for him! Hopefully, by the end of the year, we can move to him completing the paragraph independently and then editing it together. I suggested taking a year off from a foreign language this year because this has always been a difficult area for Little Fish, but he insisted he wanted to continue to learn Spanish. He is watching the Salsa videos from Georgia Public TV. 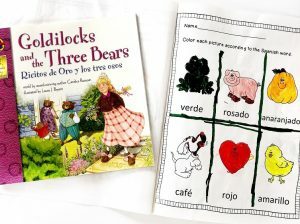 We are then following up with the related children’s book in Spanish and playing some flashcard games and coloring Spanish coloring pages. For geography this year, we are focusing on one continent a month. We are trying to line them up with our history and reading topics as much as possible. 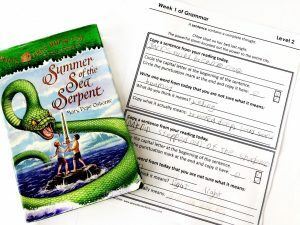 I talk a bit about this in Create Your Own Homeschool Curriculum with Literature, although I decided to use Story of the World (see below) as our spine instead of Give Your Child the World. 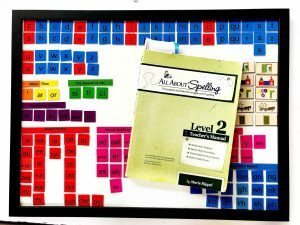 I shared in an earlier post, Fun and Simple Ways to Learn the 50 States, about how we target map work in our homeschool. Sarah Mackenzie shares the idea in her book, Teaching From Rest. She suggests giving your child a blank map along with a completed map and have her fill in some of the information, such as five countries and one or two bodies of water. Then the next day, give her just the blank map and see how much she can fill in on her own from memory. Once she has done this, give her the educational map again to fill in anything she missed and add a few more pieces of information. Then, continue in this manner so a child commits a few more pieces of the map to memory each day. This method has worked well for us. We are also going to be working through this Map Skills book. There are a few subjects that we will do as a group this year with both boys. Little Fish shows a little interest in history. This program keeps him involved by coloring related pages while I read. The information is presented in a story format as much as possible, which helps, too. The teacher’s manual provides comprehension questions for each section so that makes my job easy! It also provides lots of other books one can get on the subject, which I usually look for at the library. The teacher’s manual also includes many hands on activities children can complete. We occasionally do them, but really spend most of our time reading the book. So this is a great program for families that want hands on activities and those who prefer to not spend a lot of time on hands on activities. So, those are two different science curricula listed above!! We still need to finish our chemistry lessons from last year! This was one of the group subjects that became a challenge with both boys. Once we finish chemistry, Big Fish and I are going to work through the physics book. I plan on adapting the lessons for Little Fish or just getting simpler books from the library about each subject for him. 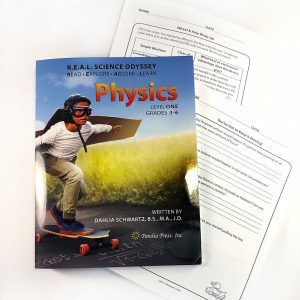 If you want to learn more about our chemistry lessons from last year, read: Can You Teach Homeschool Chemistry to Your Elementary Aged Children? We are dedicating Friday mornings to art this year. I am pulling lessons from Arttango.com, which has free, weekly lessons for grades K -5. You can implement the lessons as they have outlined, but we are going to just use them as a jumping off point. I am also incorporating lessons from Drawing with Children. We started the year with learning about the five elements of contour shape. I’m doing art on Friday with my 2nd grader too. We are using the free lessons on Deep Space Sparkle. I’m going to check out the one you mention above! Thank you! I quickly checked out Deep Space Sparkle and it is amazing!